Beautiful apartment of 40 m2 on ground floor renovated and updated from which the old wooden ceilings have been recovered and the details have been taken care of to obtain a classic house adapted with all the current comforts. The house is composed of three rooms: living-dining room diaphanous in which is also the kitchen type office and that communicates with the spacious suite type room with access to the spacious bathroom. All rooms have ventilation and direct light through windows or doors. The decoration has taken care of to reinforce even more the personality that already emanates the interior architecture by opting for pieces of lines and neutral colors, vintage furniture and others of classic cut that combined achieve a perfect balance. Located in one of the most vibrant areas of the city next to such representative places as Metropol Parasol, Palacio de Dueñas or the Judería and very well connected with bus with any point of the city. Given the location within the old town where we are and that almost all the places of visit of the city are within the same one I recommend personally that the displacements are made on foot changing the routes since in Seville any street can surprise you with Some corner with charm, plaza recoleta, palace house or church to visit. Thank you for choosing my apartment for your stay. I really hope you have a good time in our city and you like my apartment! Please read these notes of preference in the first moment of your arrival to the apartment so that you can enjoy a pleasant and safe stay. Due to this situation, I strongly recommend that you observe your behavior during your stay. 1.-It is strictly forbidden to party in the apartment. It is a mostly "Senior" community building. Most renters are 65 years of age or older (!). Keep in mind this because most of them are not familiar with the trend '********'. Therefore, they are not very pro for it. 2.-It is advisable not to open the door to an unknown person. No one is allowed to come to disturb you during your stay so it is best to ignore these calls or people knocking on the door. If by chance you had to answer do not give any details of you or your stay to avoid inquiring, polling or unknown people, always for your own safety. 3.- It may be too obvious, but please always maintain an educated behavior in the common areas of the building as in the stairs and corridors or common areas. 4.- Although we admit smokers, we ask that you smoke in the house and use the balconies or do it outside the house. If your behavior has a negative impact on the community. I'm afraid I'm going to have to invite you to leave the apartment immediately without any reimbursement. This is something that I would obviously like to avoid by all means. I can say that my experience with previous guests has always been phenomenal, but lately in Seville some unwelcome situations with tourist accommodation has been happening, and I really want to avoid coming across something similar. These and other specifications are stated in the terms and conditions that you have accepted once you have booked my apartment. San Pedro and Santa Catalina are neighborhoods located to the east of the historical center of Seville, that extend from the center of the city towards the ringroad rounds, bordering to the south with the jewish and to the north with the district of the Macarena. They are residential neighborhoods, rich in architectural heritage, with churches hosting numerous brotherhoods and stately homes. They are pleasant streets, ideal for walking away from the hustle and bustle of tourist areas. Visit the Places of San Pedro and Cristo de Burgos. Next to the parish of San Pedro, gothic Mudéjar of the XIV century, seat of the Brotherhood of penitence of the Christ of Burgos, that processes the Holy Wednesday and Gloria Nª Srª of the Pillar. Which he does on 12 October. To the left of the parish we find Santa Angela de la Cruz Street, which leads to the founding House of the Little Sisters of the Poor, where this popular saint is buried. On the left we have the street Doña María Coronel, where we can visit the church of the Convent of Santa Ines, founded by Maria Coronel, of tragic life, and access to the Palace of the Duenas and the church of San Marcos, in the zone of the Macarena. In the nearby street of Mercedes de Velilla, we have the Church of Buen Suceso, Carmelite, rich heritage. Practically together, it is accessed from the Plaza de San Pedro by Calle Juan de Mesa or from the Puerta Osario in the round by Calle Escuelas Pías. Crossing several streets that run through these neighborhoods. In it we find the Parish of Santa Catalina, begun in the thirteenth century, Gothic-Mudejar style. Walking along Bustos Tavera Street, we will arrive at the Church of Peace, which is the seat of the Brotherhood of the Mortaja, which processes Good Friday. Girona street that gives us access to the Palacio de las Dueñas and San Juan de la Palma, Macarena area. On the street Sol, we see the church of the Consolation, of the seventeenth century, old school of the Piarists, seat of the brotherhoods of penance the Dinner and the Exaltation that procession on Palm Sunday and Holy Thursday, and Gloria No. Srª de The Incarnation that does it in October. Continuing along this long street we will be able to access the Parish of San Roman, home of the Gloria brotherhoods of Our Lady of the Rosary and St. Lucia, which procession in October and next to it the church of the Valley seat of the popular Brotherhood of the Gypsies, Which makes penitential station the dawn of Good Friday. Visit the street Ahondiga. From there we will reach the Plaza de San Leandro with the convent of San Leandro. On the Zamudio street we will arrive at the Church of San Idelfonso, (the Discalced), of century XVII with tower of Russian type and seat of the Cautivo of Seville and the brotherhood of glory of Nª Srª of the Kings of the Tailors. Continuing along the Imperial Street we will access the Parish of San Esteban, in the street Aguilas, headquarters of the brotherhood of Nº Padre Jesus del Buen Viaje, which processes the Holy Tuesday, and No. Mrs. de la Luz, next to this church, we have The House of Pilate, neo-Arab palace. By the street Santiago we can arrive at the Parish of Santiago, of Mudejar origin, from where comes the brotherhood of the Kiss of Judas on Holy Monday. In this street we will find the Palace of Villapanés, of the XVIII century, next to this Palace is the Convent of Santa María de los Reyes of the XVII and Corral del Conde, very popular neighborhood house, now building apartments. 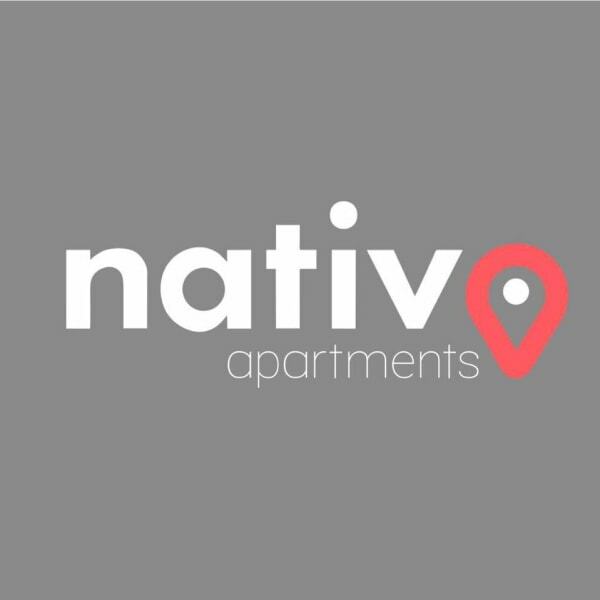 You can contact Nativo apartments through the Contact Host button on this page. If you've already booked, go to My travels. Interested in more accommodations around Seville?